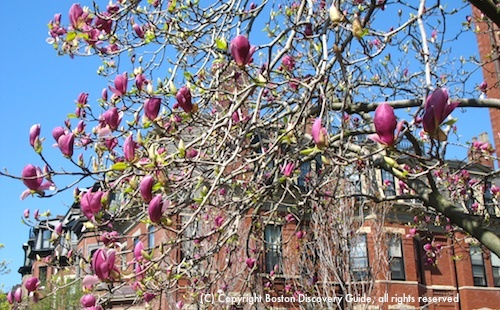 Boston weather in April brings the first days of spring as flowering trees all over the city burst into bloom. But April weather here can be fickle - so packing lots of layers is key to being comfortable. 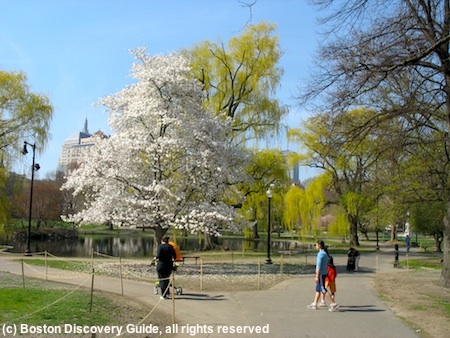 Boston visitors usually find April to be a perfect time to be here, partly due to the weather and partly due to several big events. 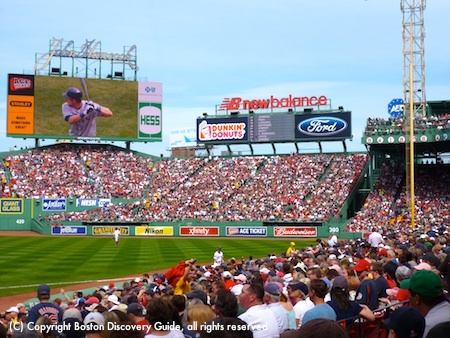 The Boston Marathon, Patriots Day, and Red Sox games attract huge numbers of visitors. Boston hotels still offer reasonably low rates during much of April - except around the time of the Boston Marathon, when all the hotels fill up and rates skyrocket. 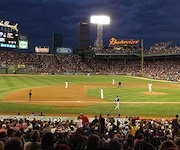 Fenway hotels also fill up and get pricey once baseball season gets into full swing. 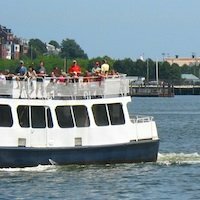 Once you know your travel dates, check the Boston Events Calendar for April to see if any big events might impact hotel bookings. And if you're coming for the Marathon, look for hotels on or near the route. All of the exciting events taking place in April make it easy to forget how much the weather can vary this month - temperature averages are not much help when you're packing for you trip, because of all the days and nights that turn out to be MUCH colder or hotter than the average. Remember the "April showers bring May flowers" nursery rhyme? Those words might have been written about Boston. Rainy days do characterize the month - and sometimes temperatures stay decidedly chilly. If you're planning to run in the Boston Marathon, b sure to check Boston Marathon weather history - you may be surprised by what you find out! Your best strategy is to pack so that you can dress in layers, based on what you encounter. During some years, bone-chilling temperatures in the 30s put a damper on school vacation fun. And then there was the lengendary April Fool's Day snow storm in 1996, which dumped over two feet of snow in Boston - accompanied by ferocious thunder and lightening. 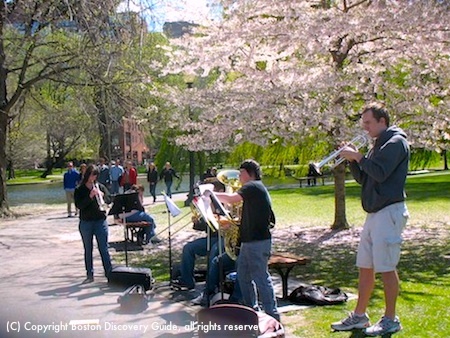 What if the weather in Boston feels too warm to you? No problem - head north to New England ski vacation resorts for some real winter! 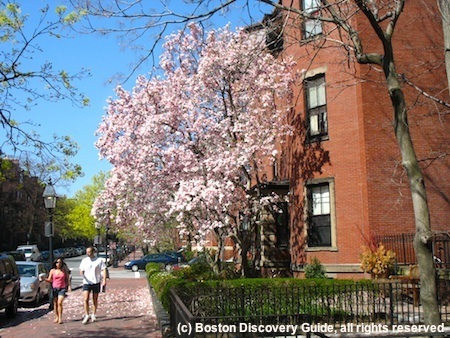 Want to see how beautiful Boston weather can look in April? These photos will show you what gorgeous sunny days are like here. Unfortunately, I don't have any bad-weather photos. I never want to risk my camera in a downpour - but keep in mind that April does bring rain as well as sun. Even though the average highs for Boston weather in April only reach the mid-fifties, the record highs and lows show how much variation can occur. This means layers! Pack a couple of cotton t-shirts that will feel comfortable if the temperature soars - plus a couple of sweaters and perhaps a fleece jacket to layer, especially if you plan to be out a lot at night when the temperature typically drops. A scarf or two can be helpful, and an umbrella is a must! Those of us who live here don't let rain stop us from walking around, and if you're visiting, you shouldn't either. You will not be happy if all you bring are flimsy shoes, so be sure to pack shoes that can withstand water - even rubber boots. 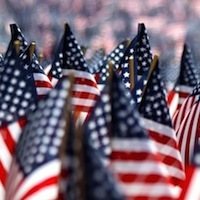 For more packing information, check my tips for what to pack for your Boston trip. 1. The Boston Marathon tops everyone's April list of top events. Watching can be a lot of fun, especially if you're dressed for the weather. Be sure to bring an umbrella if there's any chance of rain - and wear sunscreen if there's not. 2. 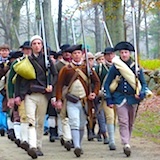 Patriots Day reenactments provide another perfect excuse to be outdoors. 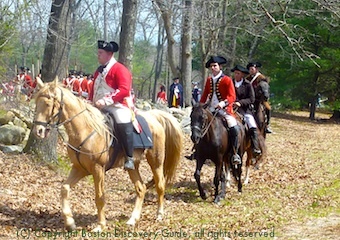 If you're planning to attend some of the events to the west of Boston, such as in Concord or Lexington, keep in mind that the temperature there can be as much as 10 degrees lower than in Boston. 3 . 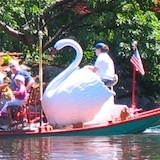 The Swan Boats return to the Boston Public Garden in mid-April. Go for a ride around the Lagoon and enjoy the golden weeping willows along the edge of the water. 4. 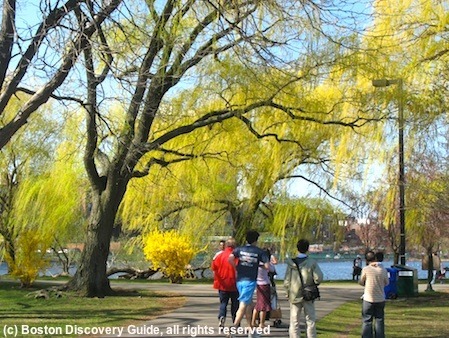 At the end of the month, the Run of the Charles provides a great reason to spend the day on the water, or next to it. 5. In case of pouring rain (or the occasional freak snowstorm), you need a back-up plan. During the day, pick a Boston museum - there's something for every interest. 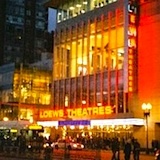 In the evening, enjoy an evening at the theater (you can check for shows here ) or one of our many comedy clubs.